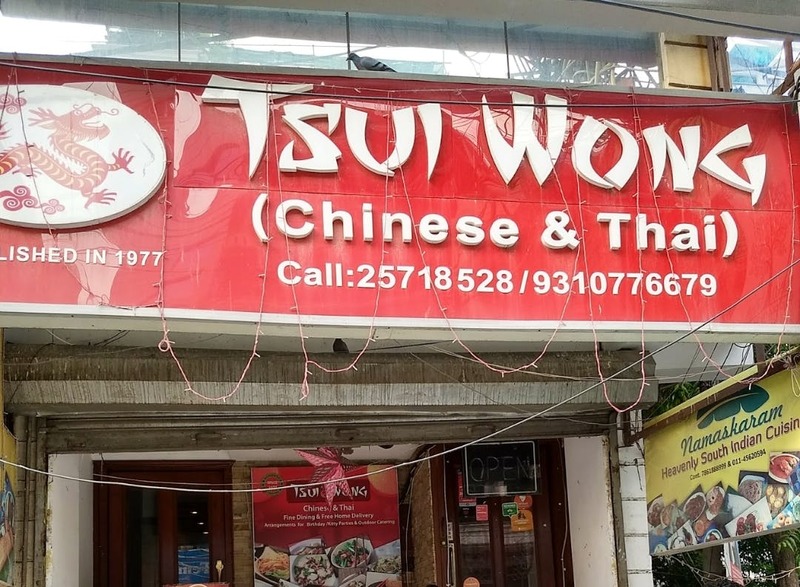 Established in 1977, Tsui Wong is one of Delhi's oldest Chinese restaurants. Located in East Patel Nagar, this restaurant serves some amazing chinese food. The ambience here is old-school and it will surely take you back in time. My top picks here are the Crispy Shredded Lamb, Crispy Honey Chicken and not to forget, the Steamed Chicken Dumplings. The menu has a good variety for the vegetarians as well with Chilly Paneer, Honey Chilly Potato, Chinese Greens Dumplings, Mushroom Dumplings and Cottage Cheese Dumplings. The food is cooked perfectly and all the ingredients used are fresh. No single flavour is overwhelming in the dishes and there is a perfect balance of flavours. No alcoholic drinks are served here, which makes Tsui Wong a good family restaurant to dine at. The service sometimes is a tad bit slow which might be problematic. But the the dining experience always turns out to be great!